Were you ever at a tropical white sands beach, and you looked down through the bluest of blue waters? 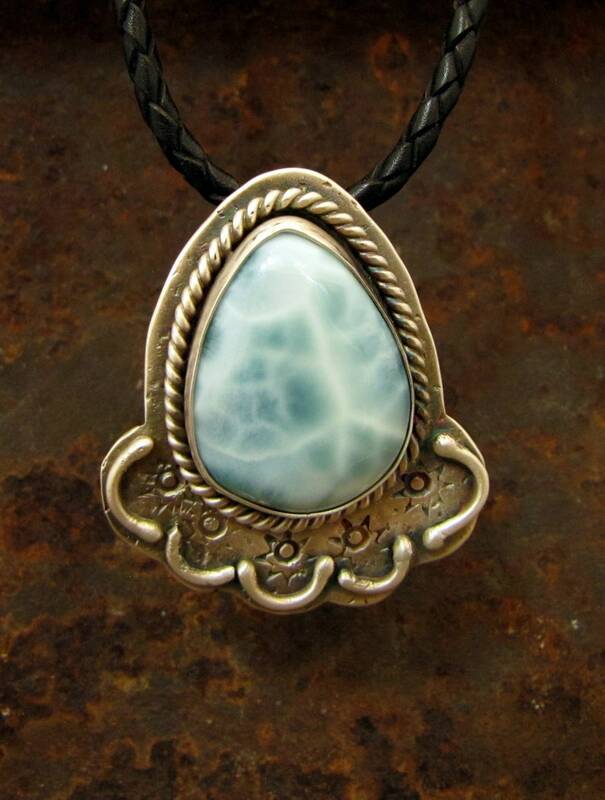 That’s what larimar looks like. 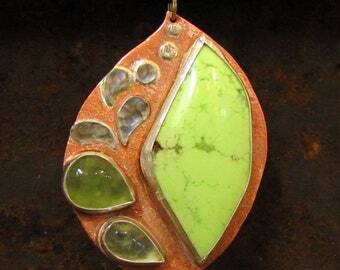 Fittingly, this stone only comes from Hispaniola, the island of Haiti and Dominican Republic. Imagine floating on your back in those buoyant, salty waters, or bobbing gently in a boat. 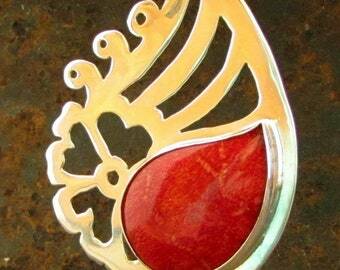 That sense of utter peace and relaxation is what this pendant imparts. Oddly, as I write this, I’m also getting an image of a cowboy or ranch hand working with horses. Are you a quirky combo of gentle tropical fragrances and scrappy, fiery, hard-playin’ tough chick? 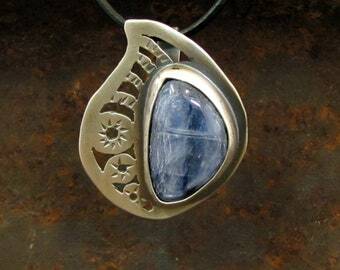 This beautiful stone of tropical waters was born in the heart of a volcano, and the pendant supports you bringing ALL the aspects of yourself to fruition. Affirmation: As I relax into my life, I am supported. It is safe to close my eyes and just gently float. The Divine upholds me. And when I move into action and doing, it is safe to bring my unique personality, fire and quirkiness to all that I create in this world. The pendant measures approximately 1.5 x 1.5 inches (?x? cm). Please select cord length and type in the drop-down above the shopping cart. I have braided leather bolo-style cord in black or dark brown, and a slim, smooth, round leather cord in black only. If you would like a length that’s not listed, please write a note to me at checkout. Ethical sourcing of all gems and precious metals is a huge world-wide issue – kind of like the issues within our food chain. As hard as I might try, it’s impossible to offer you a guarantee that these particular materials were ethically sourced. 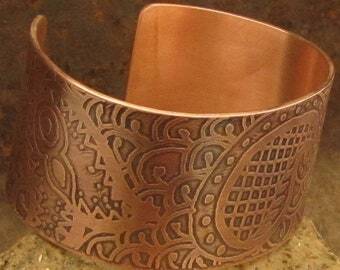 But I can offer you my commitment that I do my best to buy only ethically sourced materials, by asking lots of questions of suppliers, by staying up to date on concerns within the metalsmithing community, by recycling my precious metal scraps from my production process, and by listening to my knower for guidance. Be sure to check out my Sold Items for photos of custom pieces I’ve done. Most things I make can be recreated in a similar version. http://www.etsy.com/shop/MagicCarpetDanceArts/sold Also take a look at my Gallery tab on my website, http://www.MagicCarpetDanceArts.com. My Facebook page, called How To Create a Magical Life: https://www.facebook.com/groups/CreateYourMagicalLife/. Come join the conversation! In addition to being a belly dance artist, I’m a certified life coach, and I want to help you create YOUR magical life. Be inspired and bring your inspiration to the rest of us! My email: Cynthia [!at] MagicCarpetDanceArts.com. PLEASE NOTE: International shipping is expensive but I'm willing to send items anywhere if you're willing to pay the shipping. Please message me before you buy if you need delivery outside the US or Canada/Mexico. International orders will be shipped USPS Express International in a flat rate box, registered and insured. You are responsible for all import duties, customs fees, and taxes. Please be aware of the rules of your country!! Get it fast! Ready to ship in 1–3 business days. I accept PayPal and credit cards. Colorado residents are subject to 4.6% sales tax. Returns on custom orders are done on a case by case basis. Orders are shipped after payment has been received. I typically ship every weekday, so most orders go out within 3 business days. I ship all domestic orders by USPS flat rate priority mail and provide you with the tracking number. I will gladly combine shipping for orders of multiple items. Priority mail is usually received within 2-3 business days. If you prefer another shipping method, extra insurance, or additional services, please contact me. I also use USPS flat rate priority mail to ship to Canada and Mexico, although the rates are higher. International shipping is expensive but I'm willing to send items anywhere if you're willing to pay the shipping. Please contact me before you buy if you need delivery outside the US or Canada/Mexico. International orders will be shipped USPS Express International in a flat rate box, registered and insured. You are responsible for all import duties, customs fees, and taxes. Please be aware of the rules of your country!! I normally ship to your Etsy account address. I crosscheck it with your PayPal address, and if they match, I ship, no questions asked. If there is a discrepancy I will contact you to verify your shipping address. If I do not hear from you in 48 hours, I will ship to the address on file with Etsy. All item designs and all information provided in my Etsy shop are copyright protected and may not be used, in whole or in part, without express permission. I wait until you have left feedback before leaving feedback so I know that you have received your order.